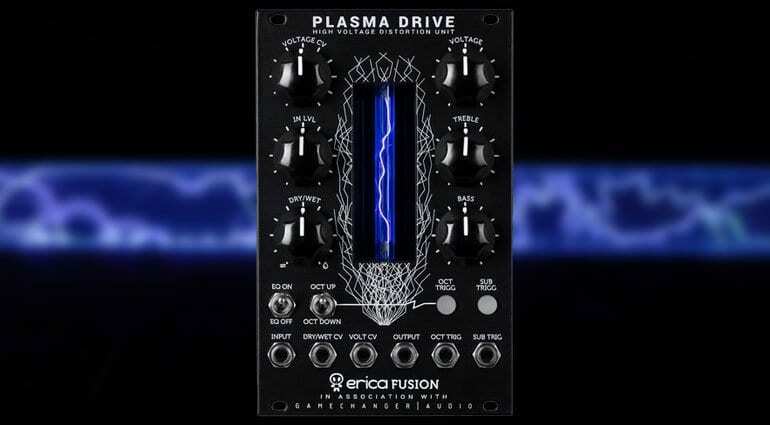 Apparently, it "boosts audio signal to 3000V and transforms it into a series of continuous high-voltage discharges in a deliciously dark and ominous xenon-filled tube light show. It’s like playing with lightning, no actually it’s literally playing with lightning. The electrical discharges are converted back into an analogue audio signal giving you an otherworldly distortion. CV control is provided over distortion level, dry/wet mix, and octaves up and down." There was/is a guitar pedal that does something similar, I think SOS did a video at a trade show on it. Aha - gamechangeraudio do seem to be highly involved in both projects! Chappers and the Captain reviewed one of the pedal versions and at the time it was immediately apparent it was a bit left-field for a guitar fuzz box.